Home » Depository » Monday Misc Updates: Sonic Channel, Sonic Generations, FROGGY! Monday Misc Updates: Sonic Channel, Sonic Generations, FROGGY! Graphical overhaul of many front page slide/thumbnail images that had not yet been done. 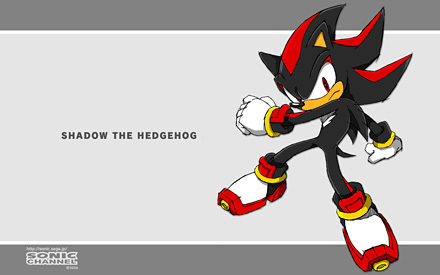 July’s Sonic Channel wallpaper featuring Shadow has been uploaded to the Sonic Channel Wallpapers page. Two new Sonic Channel colouring pages also added, one featuring Sonic, the other and newest featuring Amy. The six new City Escape related screenshots revealed by the Japanese Sonic Generations website have been added to the Depository. Summer Of Sonic 2010 and 2011 logos added to Official Art: Logos section. Sonic Boom 2011 logo also added – please note this is in a different sub-section to Summer Of Sonic due to SEGA’s clarification of each event internally. Both Sonic Generations Japanese logos – “Blue Adventure” and “White Time & Space” uploaded. Official Art: Misc Characters – Sonic Adventure Froggy render added.